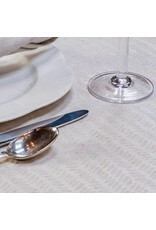 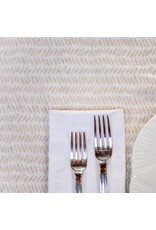 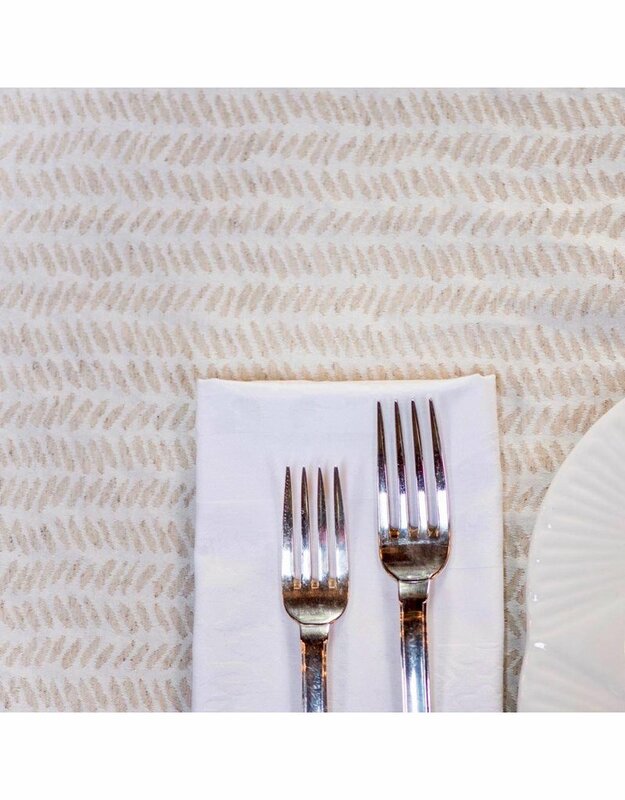 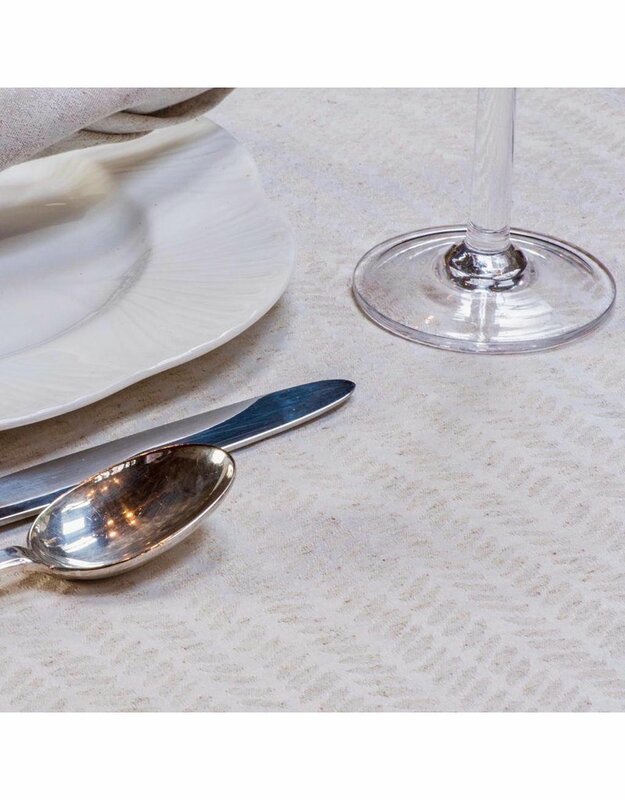 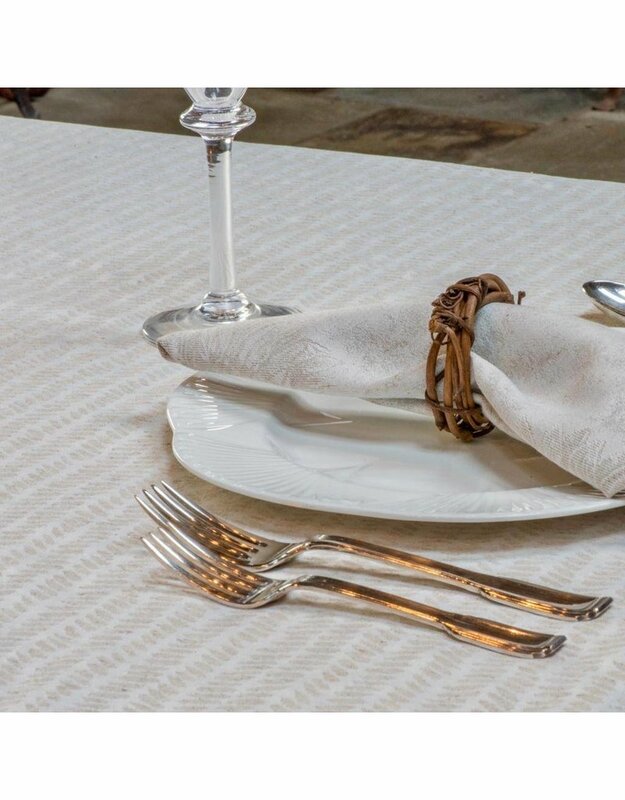 Our Signac tablecloth features a herringbone pattern woven with natural linen. 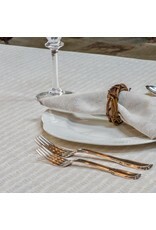 It's a great cloth to either dress up or dress down. 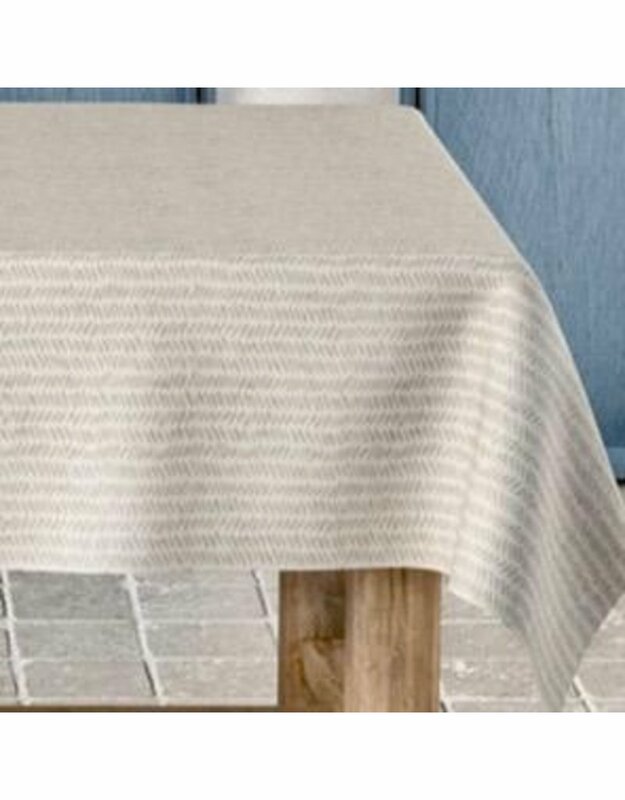 The subtle, geometric design is equally at home on an elegant dining room table or outside on a rustic farm or patio table. 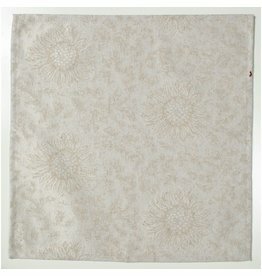 Acrylic-coated cotton with linen. 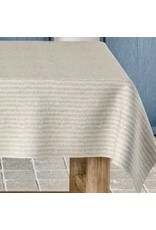 Fabric made in Spain, sewn in USA.